Its growth in Australia to date has mostly come from the North America headquartered multi-nationals with bases here, or local businesses sourcing their solutions direct from the US. 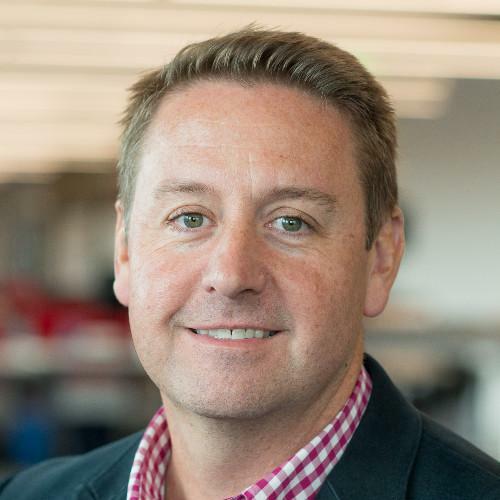 The company only established a permanent local presence – beginning with a single individual in Sydney – two years ago, but is now embarking on an ambitious growth mission in Australia and New Zealand, building on the momentum of recent customer wins, with a new leader at the helm: former Pegasystems managing director Scott Leader. Currently boasting an Australian-based team of ten in Sydney and Melbourne, Leader said the company plans to double its headcount here within the next 12 months to capitalise on a market that remains up for grabs. “That cloud, content, collaboration space – the market is still open. You look at a lot of companies in Australia and they’re still using email as their main way to share content both internally and externally. In terms of productivity and efficiency, particularly when it comes to security, email is not the way to go,” Leader told Computerworld. “I think those decisions are going to be made over the next 12 to 24 months as to what people are going to invest in. The market is still wide open,” he added. Leader shared some recent customer wins, namely the roll-out of Box within foreign exchange firm OFX (formerly known as OzForex) and the full transition of real estate and commercial property advertising site operator REA Group’s employees to the platform. OFX has been using Box internally across its seven global offices since 2016, but has since used the Box Platform product to back its customer portal, so users can more easily provide passports, driver’s licenses, and bank statements, in a secure and compliant way. “Such documents are essential for the new client registration process. Further, by adding metadata within Box, we’re able to tag attributes like Geography, Client, Type, etc. This makes processing, accessing, and tracking vital information immeasurably better than our old way of working,” said Phillip Scott, head of IT operations at OFX. “Box has completely transformed how we work on content, from our internal procedures through to how we process content from clients,” he added. With Box OFX has migrated all content to the cloud and decommissioned on-premise file servers, taken sensitive information out of email and automated content workflow processes. Real estate advertising site operator REA Group began moving employees to Box in 2012. “Since deployment, Box has become our central content collaboration tool which enables our teams to work in fundamentally different ways,” said Luke Fletcher, REA Group’s senior manager of enterprise technology. Fletcher is currently working on migrating staff at the offices of the company’s spate of recent acquisitions over to Box. Box is up against a number of competitors in the market. Dropbox is now too a fully-fledged enterprise-player with many more users and a market valuation four times the size of Box’s (although its revenue is only twice as much). There’s also the big, established players like Microsoft OneDrive and Google Drive. The strategy for pulling ahead in ANZ is for Box to target three sectors, Leader said: banking, the public sector and education. “When you look at the highly regulated sectors like those, typically when we engage with them security, compliance and privacy are really top of mind for those. It’s something Box has invested heavily in so we’re seeing success,” he said. “I’ve watched Box grow in the US, across Europe, Japan and Canada, and now there’s a huge opportunity to build the business in ANZ,” he added.